Platipus are renowned for providing innovative & cost-effective anchoring solutions for a wide range of applications. Platipus ARGS® Systems are ideal for stabilizing slopes where inadequate drainage / vegetation have caused instability. Platipus has developed the largest range of tree anchoring and irrigation systems for almost every planting situation. Platipus has created a number of standard pipe anchoring solutions that are perfect for small and large pipelines. Platipus has developed a range of anchor systems ideal for upgrading or refurbishing distribution networks. Platipus Percussion Driven Earth Anchors (PDEA®) can also be used for applications in many other industry sectors. Platipus are once again very excited to be part of and exhibiting at #LandscapeShow2018 for the 5th year! 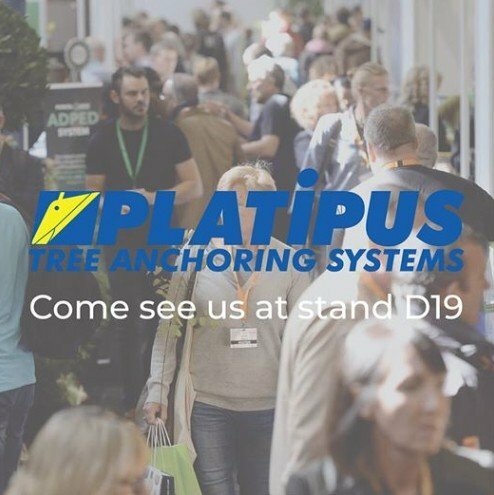 Come and visit us at stand D19 where Mandy and the Platipus Team will be only too happy to assist you with any future projects or challenging planting situations that you may have. Clicking below to select your location will place a cookie on your computer. This cookie remembers your location selection for your current browsing session and will be removed when you close your browser. For more information, contact us at info@platipus-anchors.com.